What is a Cloud-Based Productivity Suite? If you have OneDrive or Google Drive, you’ve already used one. A cloud-based productivity suite is a group of productivity applications that are hosted on an external server, which you access through a network connection. There are two products that dominate the government market—Google Apps for Government and Microsoft Office 365. Google Apps for Government launched in July 2010, while Office 365 followed shortly after in 2011. Google reports having government agencies in 44 states and DC, including local municipalities in 42 states and 6 states who have “gone Google”. Microsoft also has a large share of the government market, reporting over a million government employees using Office 365. Why Switch to a Cloud-Based System? A cloud-based system is the way of the future for all sectors. As cloud technology has improved, it allays fears over security and has become a cost-effective tool for storage, collaboration, and overall efficiency. The lower cost of having a cloud suite versus maintaining on-site servers and infrastructure is one of the most important factors for governments making the switch to these products. Governments can purchase both Microsoft’s and Google’s suites for as little as $5/month/employee. Because everything is hosted externally, there’s no need to buy or maintain servers. This also means the IT team spends less time on managing infrastructure. Governments can save up to 50% by switching to a cloud-based suite, which can translate to millions of dollars over several years. A 2015 Government Accountability Office report showed the Federal Government saved $3.6 billion from 2011-2014 after switching to the cloud. Multnomah County, the most populous county in Oregon, saved $600,000 a year in licensing and staffing costs after moving to Google Apps. Cloud suites are designed for collaborative work, and organizations almost always find an increase in their productivity after making the switch. Real-time collaboration on documents means that multiple people can easily work on the same thing at the same time. Video chatting and instant messaging features cut down on extraneous meetings, trips to outside departments, or travel to other places. Without a comprehensive productivity suite that’s designed for work, employees can end up using piecemeal solutions. Julia Gould, a field representative for a Long Beach City Council Member, explained that while they use Microsoft Outlook for work email, they have to use their personal Gmail accounts for document sharing. With a cloud-based solution, employees have one centralized place with everything they need, and can share their work seamlessly across departments with the same platform. One of the major benefits of cloud systems is the automatic software updates, meaning IT teams no longer need to do software patches and can focus on more pressing matters. A centralized suite also means that users can search for everything in once place, including documents, emails, and applications. It essentially eliminates extra time spent searching for missing files or opening and closing multiple applications. Breana Weaver, Field Deputy for Los Angeles City Council Member Marqueece Harris-Dawson, finds that using Google Apps makes her better at prioritizing tasks and more efficient at scheduling. Both Google Apps and Office 365 also offer advanced options for email archiving. This feature can ensure governments stay in compliance and have all emails available and searchable in case of legal requests. Security is a major concern for any government entity moving to cloud-based solutions. However, hosting data on external servers is actually safer than on-site servers when it comes to disaster recovery. All data on cloud suites is immediately backed up on external servers, and is protected in case of internal hardware failure. Both Microsoft and Google offer a guarantee of 99.9% uptime (meaning the system is guaranteed to be running without issue). With 24/7 customer support, governments likely have more of a safety net then with their legacy systems. All data remains in possession of the organization, so if for any reason they want to stop service, Google or Microsoft will help the customer migrate their data to a new system. If not already evidenced by adoption from major Government Agencies–including the U.S. Army, Department of Defense, and the Department of Homeland Security–both companies offer certified security and data protection. Google was the first in the industry to complete a Federal Information Security Management Act (U.S. legislation that defines a comprehensive framework to protect government information, operations and assets against natural or man-made threats) certification for a multi-tenant cloud application. Office 365 Government supports US Department of Defense Cloud Computing Security Requirements Guide for Level 2 (Non-Controlled Unclassified Information) systems. Both suites obtained a FedRAMP Authorization to Operate (ATO) at the Moderate impact level. An increasingly important factor in a digital age, cloud suites provide more options for mobile work. The platforms are accessible on most operating systems, including Android, Windows, iPhone, and Blackberry, so employees can work across devices and out of the office. Google and Microsoft also offer the capabilities to work offline, in case someone needs to work without a network connection. Most importantly, you want a productivity suite to be able to do everything you can do with your current system. So in choosing between Microsoft’s and Google’s offerings, first ask, what tasks and applications do your teams spend the majority of their time working on? 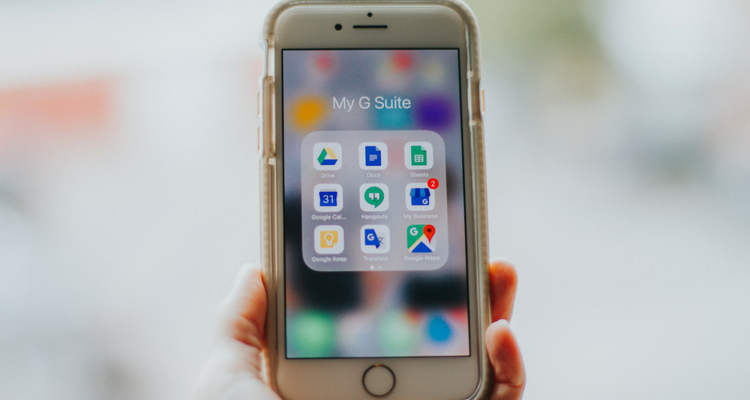 Google Apps for Government is more intuitive and easier to set up, but it doesn’t have 100% of the capabilities of Office 365 (most importantly for many being Excel and Outlook). However, if you need real-time collaboration on documents and working across devices, Google Apps is likely a better option. What are people in your organization already familiar with using? Microsoft Office users tend to skew towards people over 45, while those under 35 tend to prefer Google Apps. Better Cloud survey of 1,500 IT professionals in the enterprise world. Choosing the interface that the majority of people in your organization already use will shorten implementation and training times. It’s also important to consider what programs your external partners use–whether they be other government organizations, nonprofit partners, or vendors. Software compatibility with your partners will make collaboration much easier and save you headaches down the road.